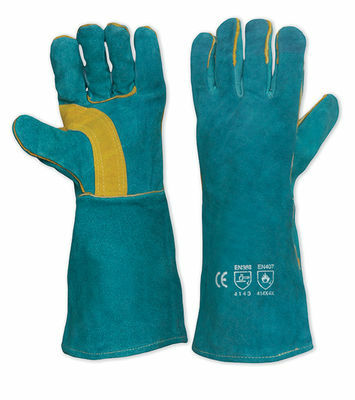 Green & Gold Pyromate kevlar welding glove. Two left handed gloves per pair. Kevlar Stitched to withstand high temperatures for longer. Reinforced palm to first finger for added durability, 406mm long for forearm protection.